A narrow kitchen that leads into a living space can be a challenge. Especially with a range and large American fridge. 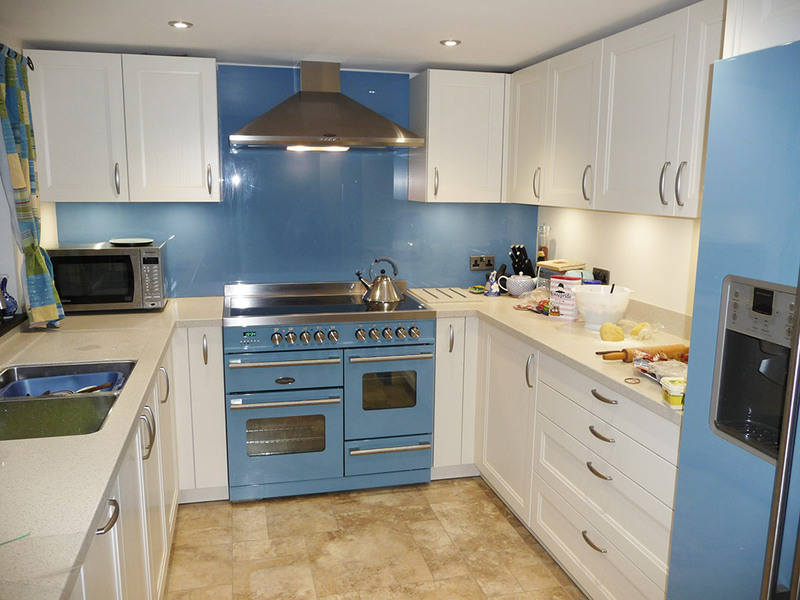 We loved the clients’ ideas on colour and created a bright, happy environment with complimentary appliances and splash back in a beautiful blue. The client wanted the utility area to blend in with the look of the adjoining lounge and was fitted with dark stained walnut veneer units and solid wood worktop stained and oiled to match. The barn conversion has a unique kitchen with a difference. Client: ‘We had as many meetings as we needed to discuss the initial design and its subsequent improvements to include ideas from us and suggestions from Kookaburra especially regarding their extensive knowledge of products. 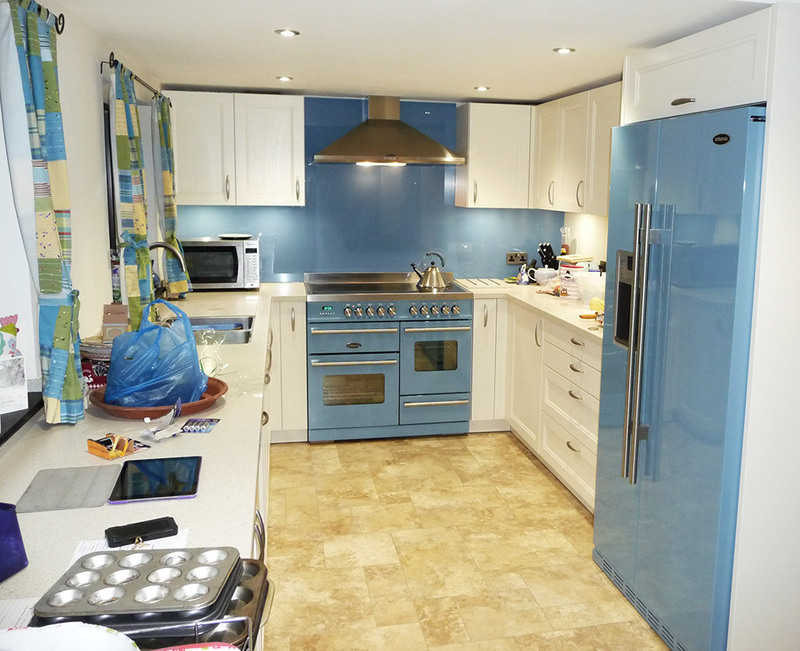 This was mainly achieved with cream Schuller units in the kitchen, dark stained wooden bespoke units in the utility room (hiding the washing appliances), Britannia Delphi range cooker and Montana fridge/freezer, LG Hi-Macs acrylic worktop, a matching blue glass splash back and Karndean floor in Jersey limestone. Many other details included dark wooden window sills, neat under unit lighting and a Neff dish washer.